Fortune #227, originally uploaded by Chebutykin. "Good news will come to you from far away." 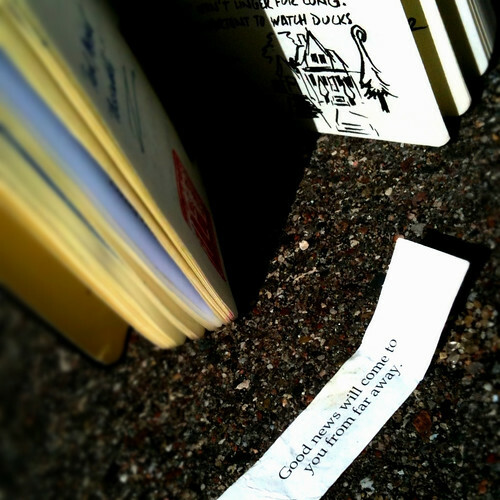 The last fortune is not going back in the jar. It will be joining Dakegra's Magnificent Migrating Moleskine on its travels.